From museums to theaters to indoor amusement parks, find all types of New York indoor activities that you will absolutely adore. If you're looking for things to do in NY on a rainy day, Fun New York is your number one source! One of the Coolest Rainy Day Activities in New York! What better way to spend a rainy day than to pay a visit to one of the finest museums in the entire country?!! 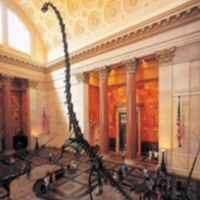 The American Museum of Natural History remains one of the world's preeminent scientific and cultural institutions. The museum is renowned for many of its exhibitions and scientific collections, giving millions of visitors great insight into the entire planet as well as cultures all over the world. Permanent exhibits include the fossil halls, which feature the museum's two famous dinosaur halls. Inside you'll find the largest collection of vertebrate fossils, totaling almost 1 million specimens! More than 600 specimens are actual fossils and not artificial casts. Other must-see permanent exhibits include the Arthur Ross Hall of Meteorites, The Millstein Hall of Ocean Life, and The Gottesman Hall of Planet Earth. No Ordinary Day At The Intrepid Sea, Air & Space Museum! 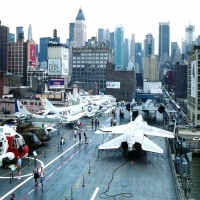 Perfect for any rainy day activity here in New York, Intrepid Sea, Air & Space Museum is a place where you can honor the memories of our war heroes who fought and died defending our country. The museum has a large collection of exhibits which includes a War plane stored in the hangar, the flight deck, and their newest exhibit the Space Shuttle Pavilion. There are a lot of things to do here at Intrepid Sea, Air & Space Museum, you can see and learn from their spectacular exhibits and have a great time hanging out in here with your friends. Enjoy Good Food At Chelsea Market! A perfect place for any rainy day activity here in New York, Chelsea Market offers to give to you a different selection of cuisine. 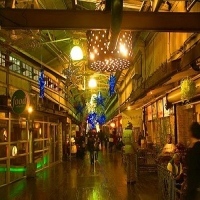 It is absolutely a gastronomic experience, Chelsea Market has in its location many restaurants serving different styles of cooking, like Thai, Italian, French, and just to name a few. So come and bring your friends along and have an amazing food trip, only here at Chelsea Market where food is always fresh and absolutely delicious. A Fun Rainy Day Activities Here At Bowlmor Lanes! Come and bring your friends along for some amazing time and enjoy bowling here at Time Square's Bowlmor Lanes. A great place for fun and excitement and definitely a place where you can have a good time hanging out with your friends and enjoy each other's company. Bowlmor Lanes also offers private parties and events here at the venue, whether it is a birthday or a bachelor party, Bowlmor Lanes will make sure that the party is a blast. So come to Bowlmor Lanes and experience the fun and excitement that awaits you in their amazing bowling alley. It will be an experience where you will remember and enjoy. A Comfortable Rainy Day Activity In New York! Spa Castle offers its spa experience, where you can enjoy their great spa service and relax. A perfect place to hang-out when the rain starts to pour here in New York, Spa Castle offers services such as body massage, lavender beauty spa, body scrub and reflexology. After the session, you will definitely feel rejuvenated and fresh. So come and pamper yourself here at Spa Castle, you will definitely feel like a royalty and be treated as one. 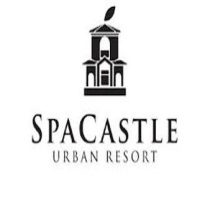 Call Spa Castle today and make your reservations. Enjoy A Good Movie During A Rainy Day In New York! Nighthawk Cinema offers a unique experience in which you get to order a full course dinner while watching a movie. It is a wonderful experience where you enjoy the comforts of the venue and watch an independent movie by Nighthawk Cinema. Good for a rainy day activities, you can have fun watching movies at Nighthawk Cinema with your group of friends and enjoy each other's company. 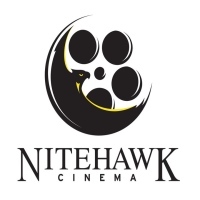 So come to Nighthawk Cinema and experience for yourself a unique way of watching a movie and enjoying a delicious meal that goes along with it. Great Place to Spend A Rainy Day Activity Here In New York! 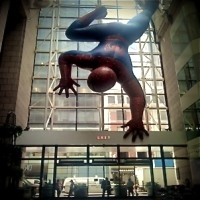 You will definitely love it at Sony Wonder Technology Lab, where you will find interesting exhibits and amazing workshops. The place is simply fun and educational, it is where kids can learn and have interests in the field of science and technology and also a place for adults to explore the many possibilities of science. The admission is free, everyone is welcome to see the amazing exhibits and discover something new and amazing things. Visit Sony Wonder Technology Lab today and make it a fun and memorable experience with the family. An Interesting Rainy Day Activity At Lion Brand Yarn Studio! Here at New York's Lion Brand Yarn Studio you will definitely enjoy knitting yarn and letting your creative imagination run through the yarn. It is a fun place to have an activity with your friends or family, you get to enjoy each other's company and at the same time create your wonderful masterpiece. The place offers a workshop that fits to everyone's need, whether you're a beginner or an expert, they will help you improve your skills in knitting. So come to Lion Brand Yarn Studio and bring your friends along for some fun and entertaining yarn crafting and knighting session. Enjoy New York Aquarium Where Every day Is A New Adventure! 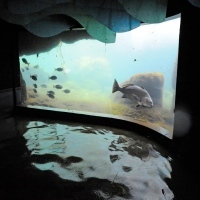 Perfect for any rainy day activities, New York Aquarium is a place where you can visit with your friends or family. See the amazing penguins do their silly thing or be amazed by the rare and beautiful sea creatures. The New York Aquarium is definitely a place for learning and sightseeing, where every time you come you will see new and different things. So come to the comforts of New York Aquarium and see the many beauties of their amazing animals. Operating hours tend to change seasonally, please visit the website to see the schedules of operation. 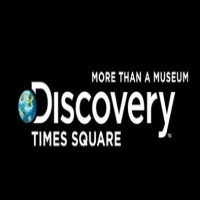 Come And Learn New Things At Discovery Times Square! Perfect for any rainy day activities, Discovery Times Square is great for everyone to enjoy. The museum offers some great exhibits which features culture, history and events. A perfect place for learning and discovery, Discovery Times Square continues to inspire and move us to create learn and innovate. Let your imagination wander and explore the many beauty of humankind here at Discovery Times Square. Come to Discovery Times Square located in the commercial center of New York where it is as convenient and accessible place to go to. Explore With Your Imagination At New York Hall Of Science! A perfect place for any rainy day activities, New York Hall Of Science is a perfect place to come and learn, bring your children along for some great quality time. The New York Hall Of Science offers in its museum a fun and interactive learning where creativity and imagination are fostered to the minds of its guests. The museum in itself inspires young minds to pursue science and to be observant of the world around us. 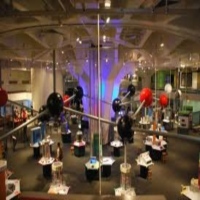 Visit New York Hall Of Science today and enjoy their amazing exhibits and learn from their workshops and classes.